Unleash your beautiful natural hair, wear it loud and proud with the unstoppable moisture your hair craves. The new Dark and Lovely Au Naturale collection of products is infused with rich ingredients, mango oil, bamboo milk, guarana root and honey to keep your natural hair defined and moisturised all-day. 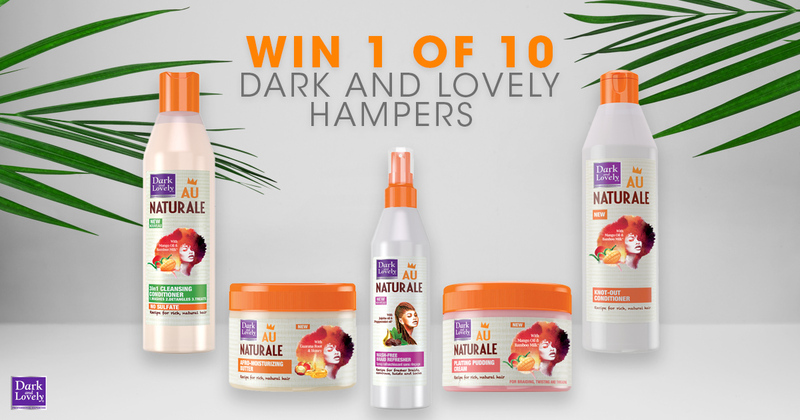 Enter to WIN 1 of 10 Dark and Lovely Au Naturale hampers here!